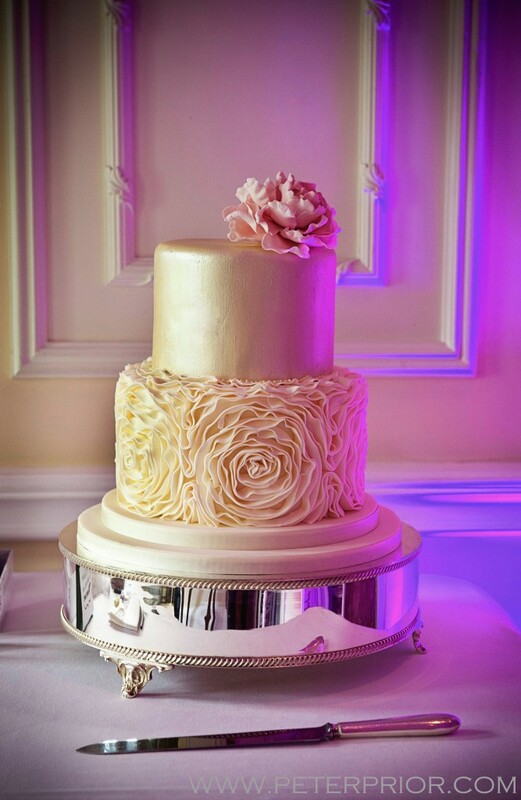 Two Tier Wedding Cake at The Savoy, London. 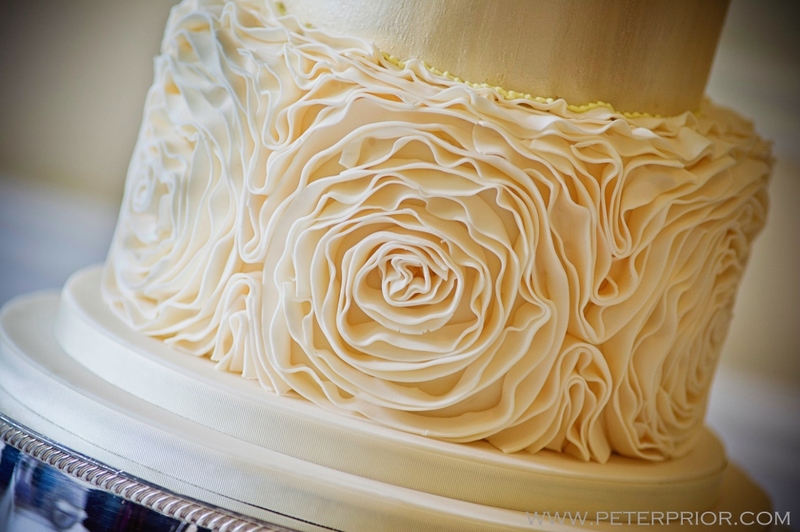 Layers of fine sugar ruffles to the bottom tier, sugar full bloom Peony and a pale gold lustre finish to the top tier. Both tiers fresh Lemon Zest sponge with lemoncurd whipped buttercream filling. Cake serves 60 finger portions.